-- Select a Size -- X-Small - Out of Stock! Small - Out of Stock! Medium - Out of Stock! Large X-Large - Out of Stock! 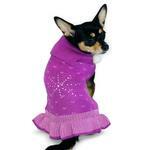 The Rhinestone Snowflake Dog Sweater Dress by Dogo - Purple is a sparkly way to show off your pups style! 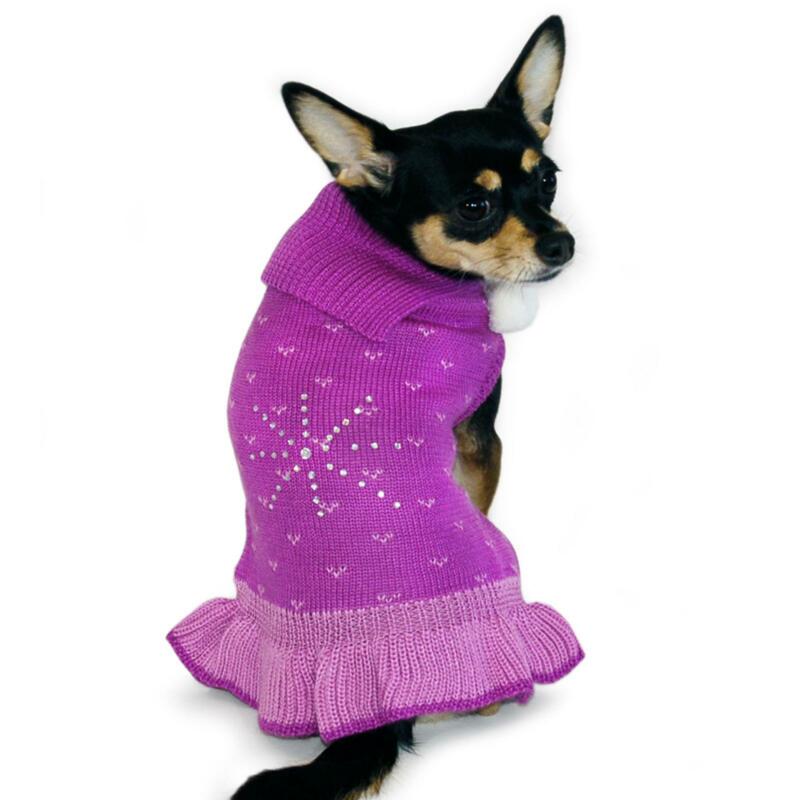 The flashy yet subtle design of the Rhinestone Snowflake Dog Sweater Dress by Dogo - Purple is sure to turn some heads! 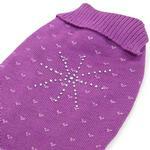 It features 2 cute pom poms on the front of the collar and a large rhinestone snowflake on the back. 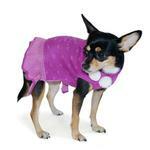 It has a contrasting mini-skirt and a leash hole for easy attachments. 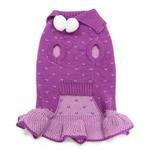 Its warm knit material will keep your little girl comfy in cooler conditions. This stylish sweater dress is a must have this season! Posted On 07/19/18 by Lun-Ying L from Holtsville, NY Yes, Lun-Ying L recommends this product! I was waiting for this outfit to be re-ordered. It fits fabulous. Washes easy.